Via Dei Serpenti, 109-110, Rome, 00184, Italy, Europe. 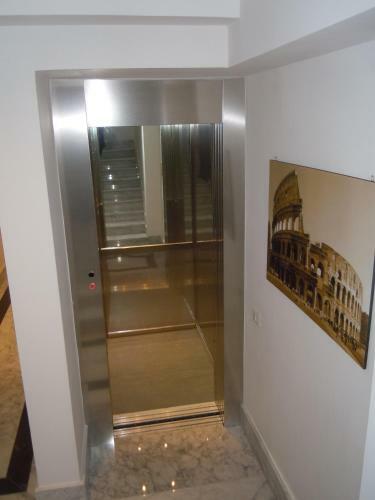 Hotel Apollo Is Located In Via Dei Serpenti, The Most Characteristic Of Rome''s Monti District. The Coliseum Is A 5-Minute Walk Away, And Nearby Cavour Metro Station Is 1 Stop From Termini. The Spacious Rooms Offer An Lcd Tv With Satellite Channels And Air Conditioning. The Style Is Functional, With Wooden Furniture And Soft Carpeted Floors. Buffet Breakfast At Apollo Hotel Includes Fresh Fruit, Croissants, Cheese, Yoghurt, And Cold Meats. It Is Served On The Roof Garden Overlooking The City.